HubSpot's Apps for Agency Services Program provides HubSpot Platinum and Diamond Agency Partners the opportunity to deliver more value to their clients through access to HubSpot Certified Connect Partners’ software. As a Connect Partner, Sigstr will offer a fully-functioning instance of our application at no cost to Platinum+ tier HubSpot agency partners that want to participate in the program. We will provide the resources needed to learn, position, and refer Sigstr. In exchange, agency partners will agree to resell and retain at least one client to Sigstr in the first year of signing up for the program. For any new business referred through an agency partner, Sigstr will manage the sale and initial implementation while agency partners will offer services catered to ongoing application management. To sign up for the program, please fill out the form. 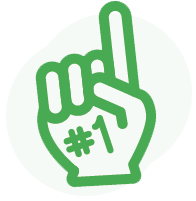 Once you do, we will contact you with everything you need to bring the power of Sigstr to your customers. Looking for Sigstr's referral program? Click here. Sigstr amplifies the value of corporate email by giving marketers centralized control over their employee signatures. 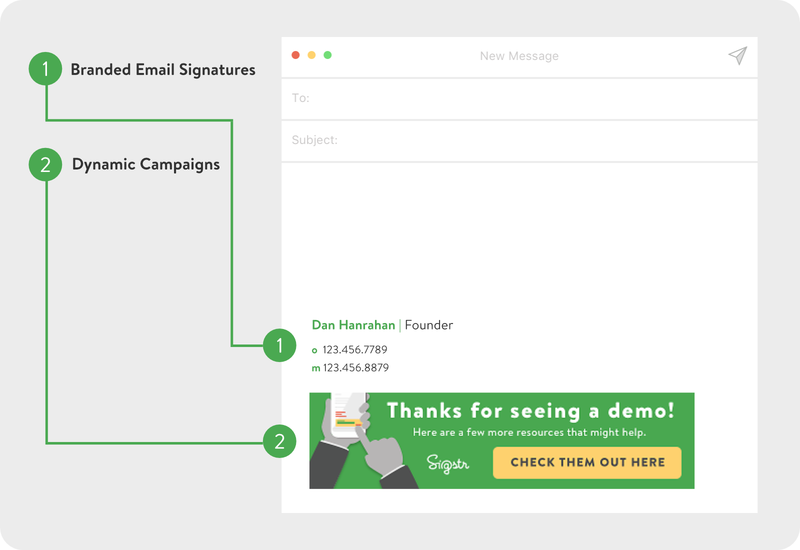 By including dynamic call-to-action banners within the email signature, Sigstr turns every employee at a company into a brilliant marketer that drives real ROI. From branding to event promotion to the most targeted ABM campaigns, Sigstr gives companies the ability to distribute content to their most accessible audiences. Click to learn more about Sigstr. With ABM and ROI at the forefront of digital marketing, the Sigstr + HubSpot integration includes a number of features to ensure your Sigstr activities are aligned with your overarching marketing initiatives. Seamlessly connect Sigstr to HubSpot workflows, smart lists, landing pages and email marketing templates with easy to use, point and click user interfaces. With Sigstr + HubSpot, your team will have the ability to create and enhance automated customer journeys, drive more traffic to your website, increase exposure to your content, and link email signature banners to specific landing pages to gain access to detailed conversion analytics. 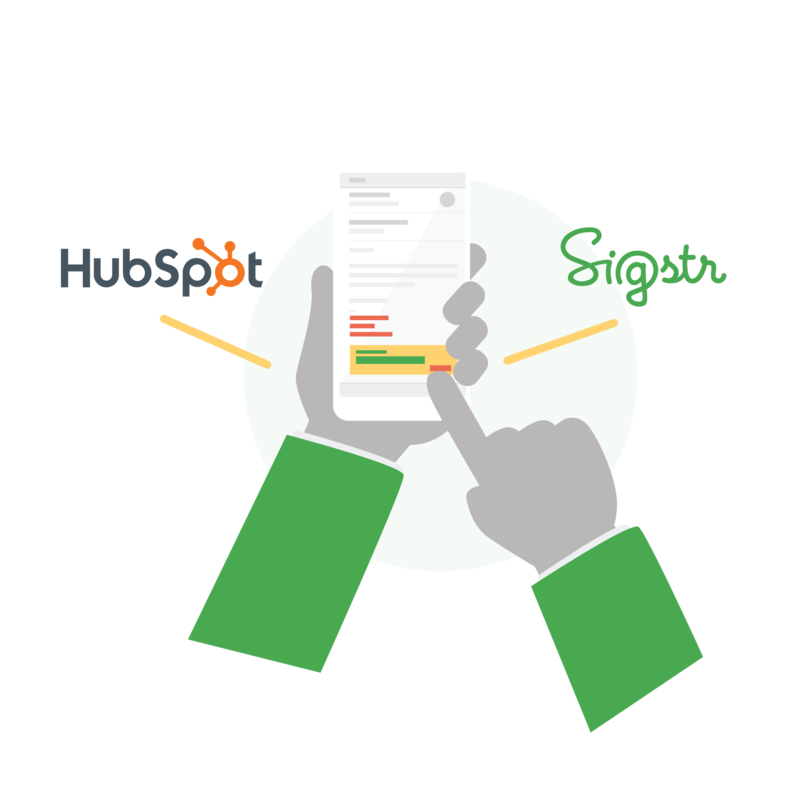 Click to learn more about the Sigstr + HubSpot Integration. Those participating in the Apps for Agency Services Program are not eligible for Sigstr’s referral program, which offers a referral bonus but does not provide a free license to Sigstr.